Along with his time spent with ZULUZULUU, Greg Grease is also an MC whose omnipresence in the scene extends from in-store beat battles to local mixtape guest verses to an extended, ever-evolving discography of his own. Grease spits like the kind of artist who was never told that bohemian hip-hop and street rap don’t intersect—a benefit of growing up with a hip-hop head for a father, and a need to reveal a new facet of his life with each release. Grease couples a survivor’s resolve with a creator’s restlessness. Never one to hop on trends and ride the wave, Muja IS the wave. Three years ago Muja released the now legendary ‘God Kissed It The Devil Missed It’ and ever since then he’s been killing everything he touches. While ‘God Kissed It’ was a personal benchmark, Muja keeps expanding his artistry and adding depth to his music instead of attempting to recreate the magic of previous projects. As he grows, so does the music. Muja has always been regarded as an elite lyricist and local legend, but 2017 will solidify that status while expanding his repertoire to songwriting, producing and general global dominance. After penning 16’s for Kanye and writing with Diddy’s team in Miami it was time to focus on his own career goals and take matters into his own hands. Muja self-funded ‘The Red Eye Tour’ and scheduled a month long hip-hop- humanitarian effort in locations such as Ukraine, the Czech Republic, Israel, Italy and most recently the incredibly inspiring island of Cuba. Traveling abroad woke the sleeping giant and ever since his return he has been on a tear. Known for his politically incorrect sarcasm, sharp humor, intelligence and relentless work ethic, Muja’s new album ‘PyrExpeditioN showcases the mind of Muja like never before. The self-proclaimed “Bob Dylan in Polo linen” has once again returned to puncture holes through your comfort zone. He’ll go where a lot of rappers won’t. Lady Midnight has been featured on Twin Cities Public Television’s Lowertown Line and MN Original. Formerly lead vocalist of afro-cuban band Malamanya, she is a member of underground electronic group VANDAAM and ensemble member of 9th House, a collaborative project from Twin Cities elite MC’s I Self Devine & Muja Messiah with whom she performed at the 2016 hip-hop festival Soundset. In addition she has contributed to past and upcoming recorded projects from Brother Ali, Sonny Knight & The Lakers, Sarah White, Jayanthi Kyle, Maria Isa, Mike the Martyr, Adept, Sloslylove and Noahs Heark (RBMA Paris alum). Just Nine is a DJ that understands the essence of what it means to be a Hip Hop DJ. 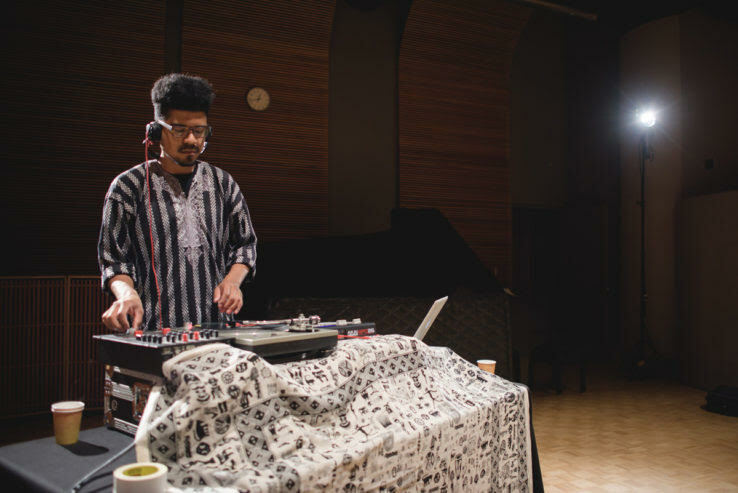 In addition to being one of the Twin Cities most in-demand club DJs and being a member of Zulu Zuluu, he has DJed for Greg Grease and I Self Devine. Born and raised in Minneapolis, DJ Keezy has been making waves in the Twin Cites for four years now. Through her years of DJ’ing and realizing that women are consistently being underestimated in their own talents and abilities, Keezy has commitment to using her gift to highlight other artists. She has won "Twin Cities Best Club DJ of 2017" and is the founder of one of the first all woman identified line-up dance parties to hit First Avenues Mainroom. In addition, she is a curator of many other dance nights within the Twin Cities. Keezy has also had the opportunity to open for established acts like KEHLANI, DEJ LOAF, BIG FREEDIA, TRINA, JESSIE REYEZ & DA BRAT and many more. Including being on worlds biggest one day Hip-Hop festival "Soundset". Her style is heavily influenced by hip-hop, jazz and rap. Her signature sound consists of spinning throwbacks and the hottest new remixes.